"In November 1914, the state of Washington went dry. In 1917 the U.S. Congress passed the 18th Amendment to the Constitution to make the national prohibition of intoxicating alcoholic beverages, but it wasn't until January 1919 that the states ratified the Amendment. Prohibition came into effect in the United States in January 1920. By that time the state of Washington had been dry for six years. 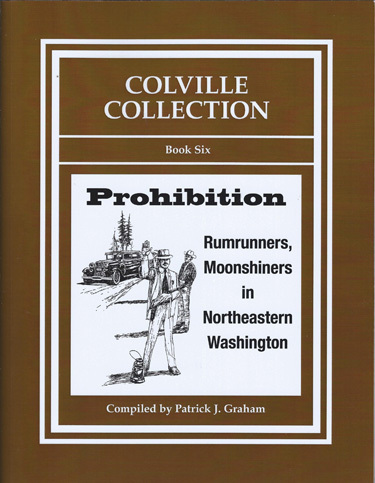 Prohibition in the state came about after a progressive drive arguing that strong drink caused all sorts of social ills, including destitution, wife beating, and child abuse. It also helped that women had gained the right to vote." Read about the effects of this situation on the people and communities of northeast Washington..... 59 pages plus index. Chapter 8 - Everyone knew it as "Daisy Diesel"